How do view my Google Analytics? Step 1) Gather your Google Analytics login information. 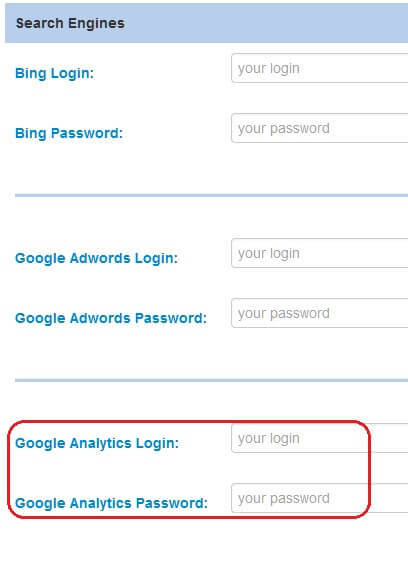 Step 2) Your Google Analytics login will be under the 'Search Engines' heading. Step 4) Click on 'SIGN IN' on the top-right. 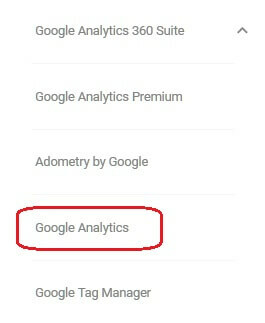 Step 5) Click on 'Google Analytics' from the list. Step 6) Click on the link with the globe icon next to your domain name. Note: Clicking on the folder icons will expand/collapse the folder structure. You should now be at the Audience Overview for your Google Analytics.